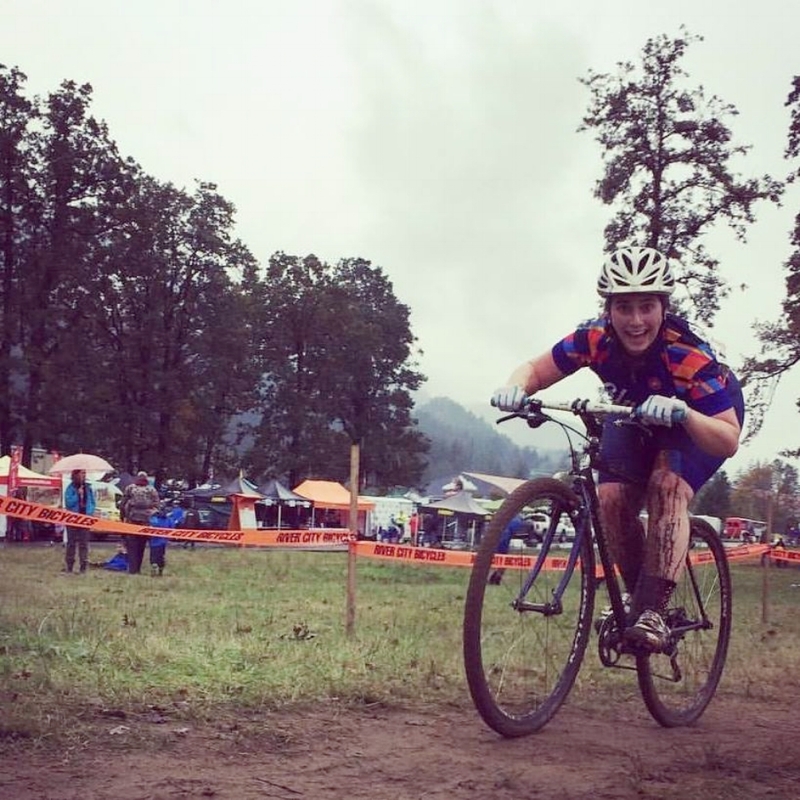 The Gladyators are a cyclocross-focused (for now, at least! ), beginner friendly, fun-loving team of folks who are serious about trying our best and becoming better cyclists, but just as serious about having a good time on our bikes and building community in the process. We are welcoming of people of all gender identities and expressions. If you want to reach out and learn more, email us at hello@gladysbikes.com, or better yet, come find us at a local race! Superpower: Magical Elven leaping abilities. Random Fact: My favorite movie of all time is Top Gun. Random Fact: I sorta already have that shapeshifting superpower. Random Fact: I love all the creepy crawler creatures like snakes, insects and bats! Superpower: Legendary levels of loudness! Random Fact: I'm your #1 fan. Superpower: I'd like to claim I'm a baby whisper (I can put difficult babies to sleep. Sometimes). Random Fact: I have the school record in the indoor 5k at Portland State. Random Fact: I once sang and danced to Boston's "More Than a Feeling" with Justin Timberlake. Random Fact: I have over 60 stitches. None from cx! Random Fact: The Force is within me. Literally. It's like my lack of hearing has transferred in the orb of a new sense. Superpower: Can make any croissant disappear. Random Fact: I have freckles in my eyes. Random Fact: I was in a coma for two weeks. Superpower: I trip, but rarely fall. Random Fact: I was born in the US, but my parents had lived in Taiwan up until just two months before I was born. I remember thinking about toy labels around the time my mom explained the facts of life to me and putting it together that technically, I was made in Taiwan.